Automatic grading for Scholastic & Co-Scholastic areas. Automatic Class wise Mark List & Report Card Generation. Continuous and Comprehensive Evaluation(CCE) refers to system of school based assessment that covers all aspects student’s development. The comprehensive component CCE takes care of assessment of all round development of the child’s personality. It includes assessment in scholastic and co-scholastic aspect in student’s growth. Students will be evaluated both in scholastic and non scholastic areas as per the guidelines & norms of the CBSE. CBSE CCE Report Card Software for CBSE school. This is a very user friendly CBSE CCE Report Card Software through which any one can generate Report card for any no. of students according to the CBSE guidelines. This covers all Scholastic as well as Co-Scholastic fields. Result entry of FA1, FA2, SA1, FA3, FA4, SA2 can be entered very quickly and very easily. There is no need to calculate CGPA as it can be generated automatically with the help of on line portal. 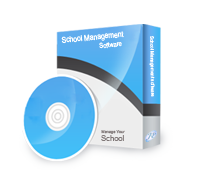 It removes the need of writing marks or grades in report card of each student. 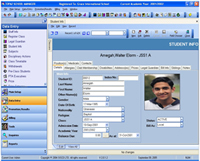 Software can generate full Report card which includes the result of both terms as well as report card for first term exam only. Get the progress report card software. Its a web based progress report card software system designed according to CCE guidelines of CBSE Get increased level of accuracy and reliability in generation of CCE report card according to CCE guidelines of CBSE Get the best CBSE CCE Report Card Software that exist on this planet. Please call now to get complementary software along with this excellent CBSE CCE Report Card Software.